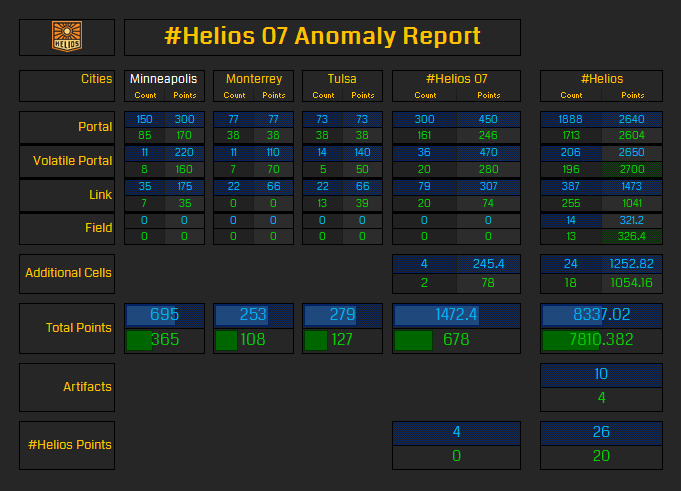 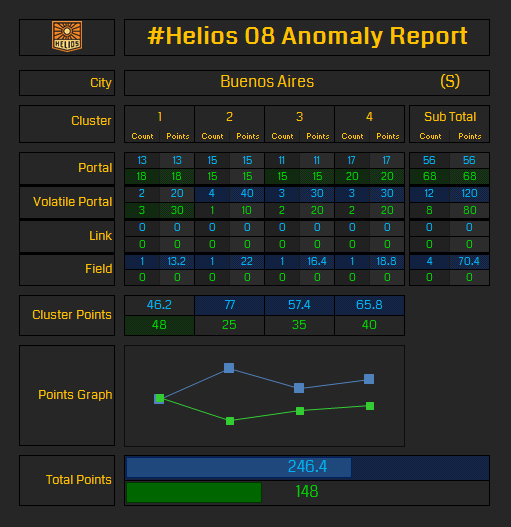 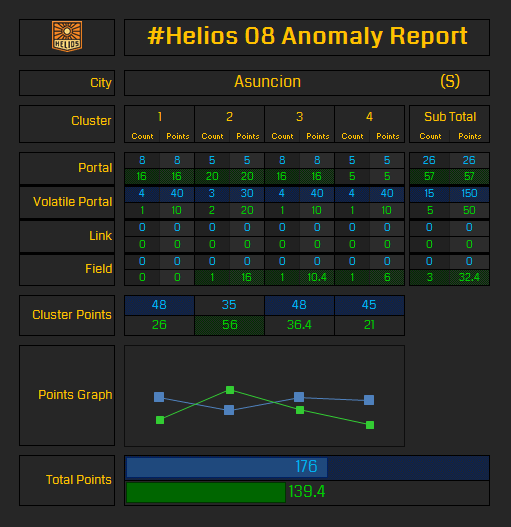 Helios 07 and 08 ran simultaneously on Saturday and we saw the Resistance return to the form we saw back in Recursion, with them winning 20 of the 24 measurements across all 6 cities. 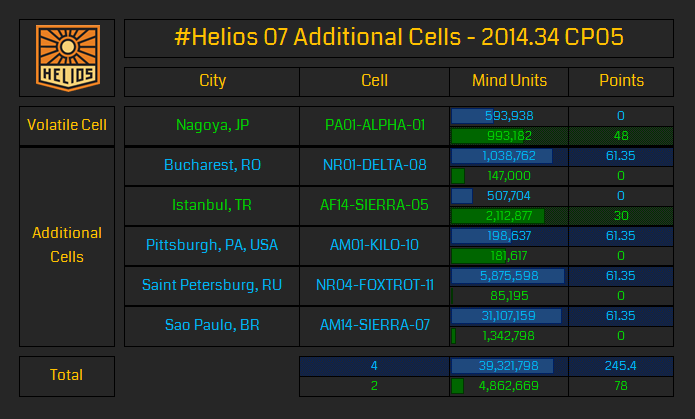 Across the 6 additional cities for Helios 07, the Resistance captured almost 40 million Mind Units compared to the Enlightened’s 4 million. 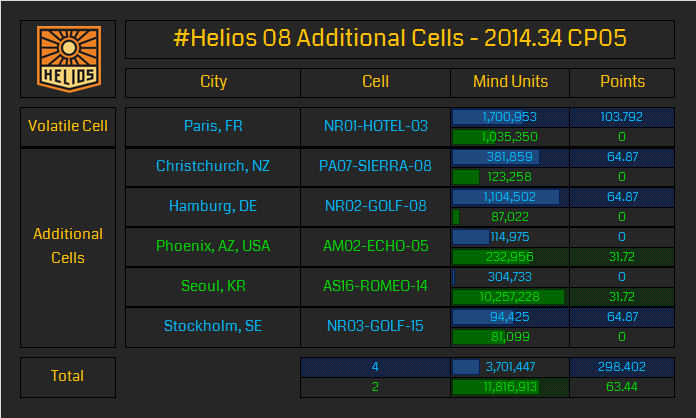 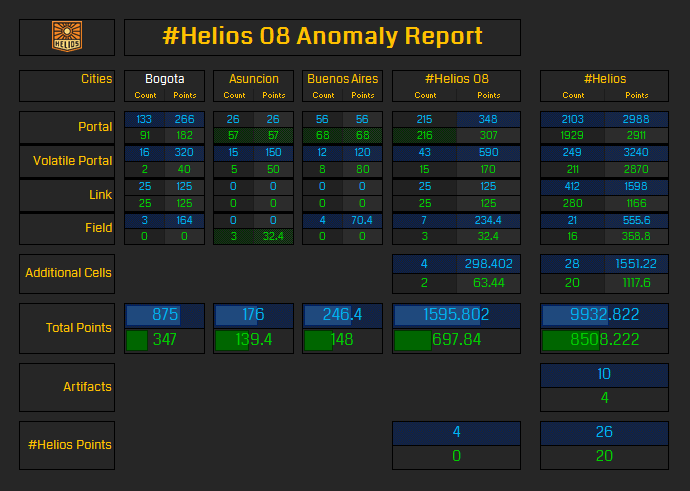 For the 6 additional cities for Helios 08, the Enlightened captured over 8 million Mind Units more than the Resistance but only managed to win in 2 cities.